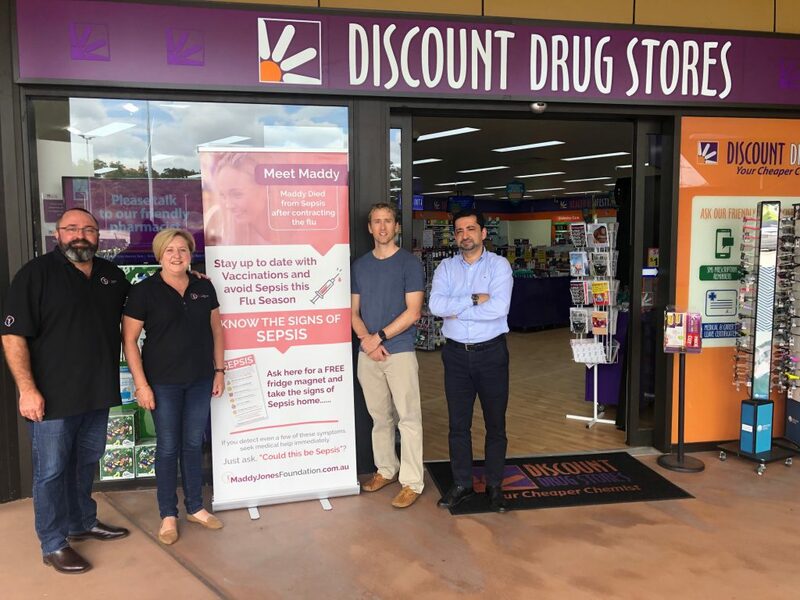 We are very excited to announce that the Eatons Hill Discount Drug Store and Eatons Quality Medical & Skin Cancer practice have teamed up to raise Sepsis awareness this flu season. Pharmacist Matthew Low & Dr. Peyman Mira will donate $2 from each flu vaccine to raising Sepsis awareness. Both outlets will be displaying our Sepsis awareness posters and handing out our signs of Sepsis fridge magnets. Maddy died from Sepsis after contracting the flu. Whether or not you are vaccinated, knowing the Signs of Sepsis may save your life or the life of someone you love. Staying up to date with vaccinations is a way of protecting yourself and your family from Sepsis. Please visit the Eatons Hill Discount Drug Store or Eatons Quality Medical & Skin Cancer practice, ask for your free signs of Sepsis fridge magnet, and book your flu vaccination..